At this stage, learning becomes even more exciting for your child because they are preparing to move into kindergarten. Our program will help make the transition smoother by helping children become more familiar with an organized environment. For example, one of the biggest transitions for children is the whole class instruction concept. To get them ready, we will conduct full group activities that will be similar to their experiences in kindergarten. We will focus on group play to develop social skills needed for elementary school, such as listening, sharing, asking questions, following directions and cooperating with others. Our program will help children develop critical thinking and problem-solving skills that they will need to succeed in kindergarten and throughout school. We work with your child on recognizing shapes, colors, motor skills and following instructions. In addition, we continue to build on their language development through learning activities that introduce letters, words, and sounds. We will increase their math skills by recognizing numbers, counting, and introducing basic addition and subtraction concepts with hands-on activities. We provide a safe, secure environment where children can learn through exploration, discovery, and hands-on activities as they prepare for their exciting entrance into kindergarten. Our teachers provide assessments every three months throughout the school year to keep parents informed on their child's progress. 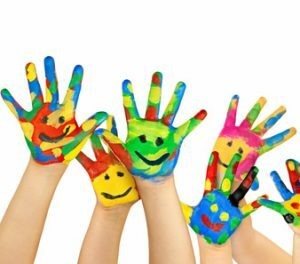 Our Creative Curriculum for Preschool, aims to promote a student’s social, emotional and intellectual development.